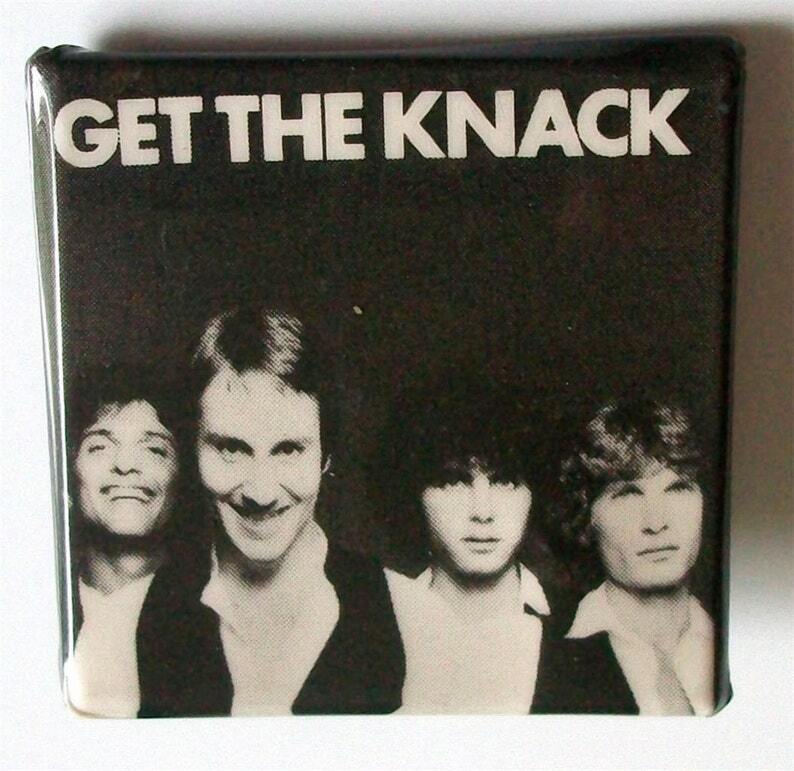 EXTRAS & DETAILS: RARE VINTAGE 1979 BUTTON / BADGE. VERY RARE ORIGINAL PROMOTIONAL BADGE / BUTTON / PINBACKS FROM THE CAPITOL RECORDS RECORDING ARTIST THE KNACK FOR THEIR 1979 ALBUM "GET THE KNACK". A GREAT PUNK / NEW WAVE / KNACK COLLECTABLE. Most badges / pinbacks / buttons are used and have natural age wear including rusty backs. We actually like this as it shows the vintage-ness of the item and shows that it spent time proudly displayed on a leather / denim jacket. 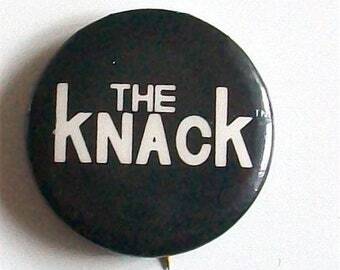 I had a New Wave / Punk nightclub in the early 80's and one of my favorite ways to turn the patrons on to new music was to sell badges at the door. We got 95% of the pinbacks direct from London. The Record Company promo buttons come from friends at the major labels, back in the day. All vintage, NEVER a repro!! :) I love it! Thanks! So perfect, looks great on my bag. Thank you. Ozzy would be so proud.